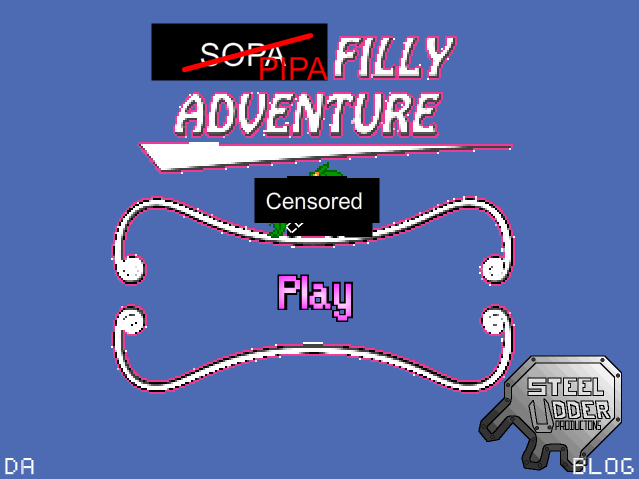 In short, SOPA Filly Adventure follows the storyline of Super Filly Adventure, a game Jay6 originally created for the 16-bit gaming contest on Equestria Gaming, but has grown into a very popular game in its own right (it definitely deserves a full on review here - I'll be sure to write that). You follow a censored version of Jade around, inviting equally censored ponies to a party to stop SOPA. 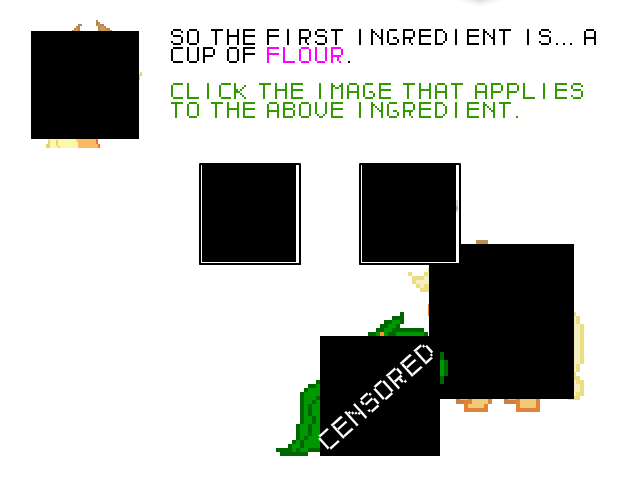 Upon talking to Applejack, you play the making muffins minigame, but since the ingredients are blacked out as well, you don't know which is the correct ingredient. The finished product is a mystery to both you and the characters. The game culminates in a boss battle against none other than SOPA itself, represented by a likeness of Lamar Smith, the U.S. Representative of Texas's 21st District and the fellow who introduced SOPA to the House. 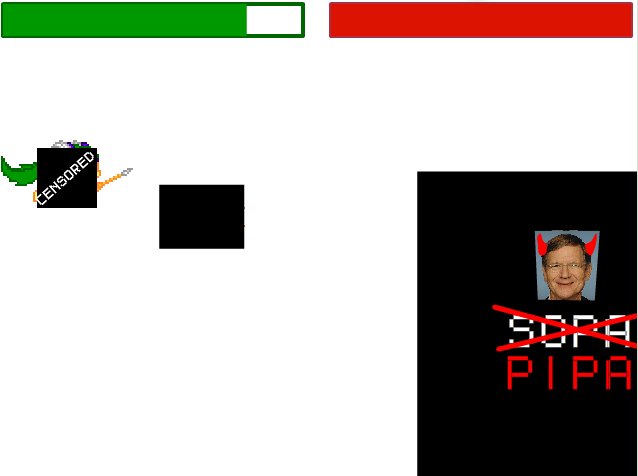 Jay6 has stated that the game is only temporary, so I suggest playing it now if you so desire. As a note, the reason SOPA is crossed out and replaced with PIPA is that SOPA's hearing has been postponed indefinitely whereas PIPA (I believe) is scheduled to be voted on January 24.